The best way to get to know a community is by scheduling a tour. See the facilities, meet the staff and residents, and get a feel first hand what it's like to live at Westboro House Assisted Living. Westboro House is committed to serving the needs of older adults who are no longer able to live at home but do not need nursing home level of care. We are a Vermont licensed Level III Residential Community Care Home accepting men, women and couples. As times change and the physical space between families grows, extended families are taking on greater importance. Westboro House endeavors to fill in that space by creating an environment that is safe, structured, supportive, warm, and as close to “home” as possible. Westboro House has an outstanding reputation among doctors, social workers, home care providers and other members of the community for offering superlative care and exceptional services. 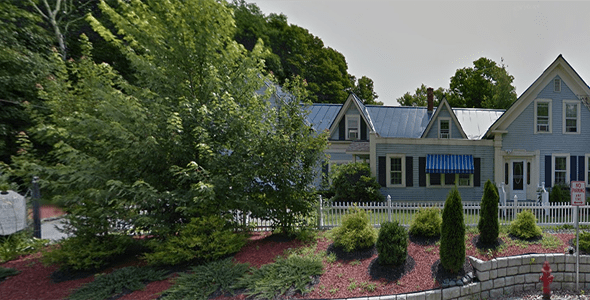 Westboro House is located in a residential section of West Lebanon New Hampshire, convenient to shopping and entertainment, restaurants, banks, churches, library, barbers and hair salons, dry cleaner, a pharmacy , art galleries, stores and gift sh ops. They are all just a short walk away. Westboro House accepts private pay, Vermont Medicaid including Assistive Community Care Services (ACCS) and Choices For Care also known as enhanced residential care (ERC) residents.